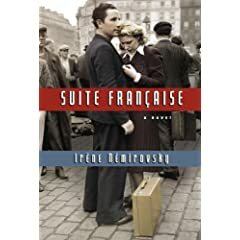 This entry was posted in Book Reviews, Books, History, Inspiration, Literature and tagged Epic, France, Historical Fiction, Irene Nemirovsky, Novels, Suite Francaise, World War Two. I agree totally. Of the books I read last year, Suite Francaise was the best. And Water for Elephants was second.